Our band sealers offer two different methods of applying a message to the seal line: Embossing or Dry Ink Coding. Use our chart below to help you determine which method works best for your customer needs. 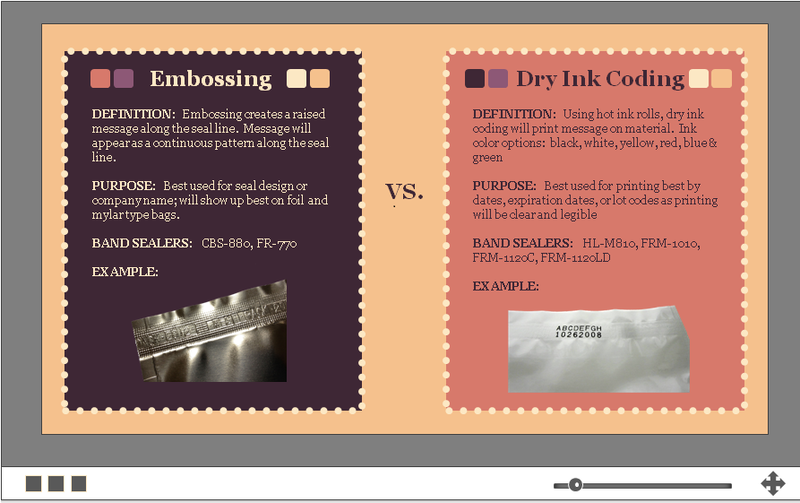 We also include examples of both embossing and dry ink coding.